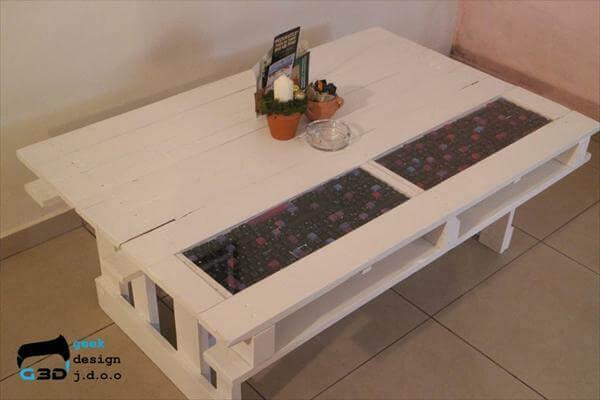 The painted pallet coffee table is a masculine looking coffee table and makes a good addition to a sofa set in your drawing room. It has a crossed bars repose below its top and a tiny shelf. The top has a frosted glass fittings. Any other option that you would like to add is also available. 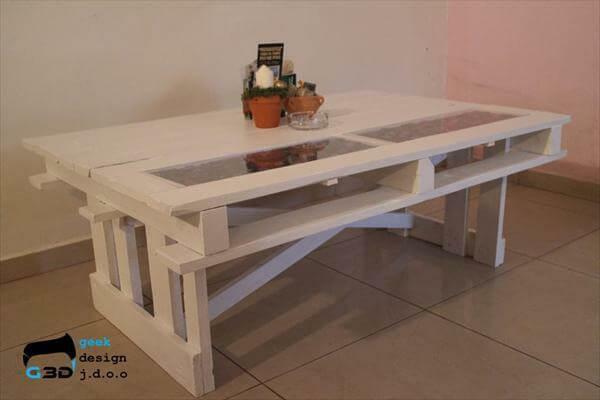 It is made from shipping pallet reclaimed and refurbished. This will smarten up your room or simply look good in a corridor. 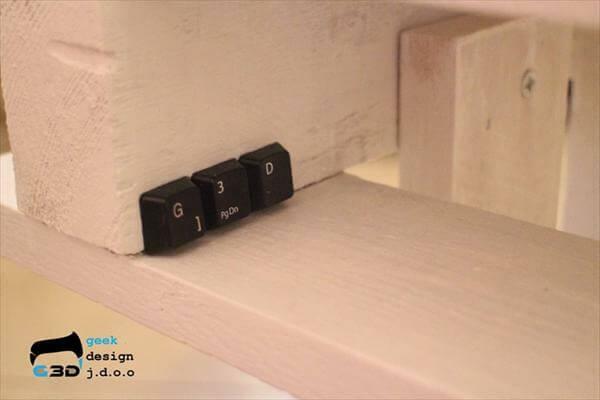 The paint coating can also be changed and given a bare wood polish look. The coffee table can also be a room accessory.